Fine Turf Services can aid and assist the synthetic surface manager with help and advice on maintaining a synthetic pitch. This might be through a contracted regular service agreement, by helping to identify equipment that can be used by clients to undertake their own frequent in-house maintenance, or by contracting works on a specialist basis as required. 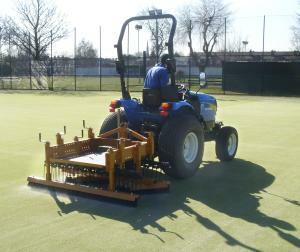 Fine Turf Services also offer a range of equipment for self-hire that can be used in-house to reduce contracting costs. Please visit our 'Self Hire' page for more details, or you can visit our 'Gallery' page to see some of our equipment in action.